Anyone paying attention to the careers of Mary Kate and Ashley Olsen over the past decade knew that the chances of either or both returning for Netflix’s Fuller House were slimmer than…well, the Olsen twins. But that didn’t stop the producers from trying to get them involved. And when it was clear they weren’t interested in returning, they took a shot in the dark by trying to nab the closest thing possible to an Olsen twin: their sister Elizabeth Olsen. Take a second to let that sink in. News of this casting back-up plan came from star John Stamos, who explained the long shot to Andy Cohen when the subject of the Olsens came up. We actually went to – I don’t think this has been talked about. I didn’t do it. I think Jeff Franklin did. I said, ‘Call the sister. Ask her…We talked to her agent and her agent was like, ‘Come on. She’s not going to do that.’ But we did call her agent. I wouldn’t be the least bit surprised to find out that Elizabeth Olsen is just learning about this would-be role with the rest of the world. Stamos did make a “pbbt” sound when relaying the agent’s thoughts on the matter, so it’s entirely possible the opportunity never got passed on in the first place. I mean, she's a Marvel superhero now. Impossibilities aside, let’s consider how potentially amazing Elizabeth Olsen would have been as a grown up Michelle Tanner who traded the “ows cweam” for a more responsible diet. The youngest sister is inarguably the best actress of the three, which is admittedly biased since the twins were mostly in cash-grabbing children’s movies. (Hugely successful ones, but still.) 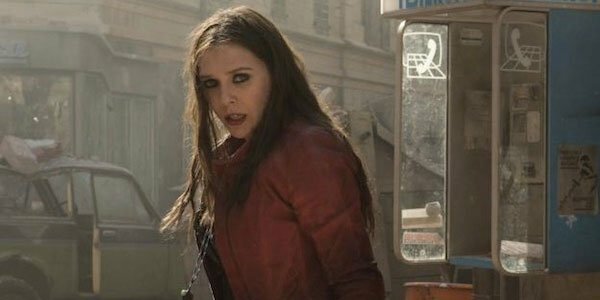 Chances are, the Michelle role wouldn’t have been very large in the first place, but we might have seen the most well-rounded version of the former munchkin had Elizabeth Olsen taken it. I like to think that they would have worked her cult past from Martha Marcy May Marlene into Michelle’s backstory. Does this fan fiction exist out there already? You can check out the interview clip here, which also includes Stamos glossing over the mini-controversy between him and the twins.